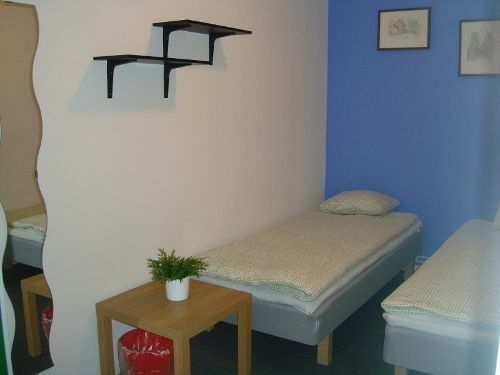 Interhostel hostel Stockholm is situated ONLY 50 meters from the main Stockholm's shopping street Drottninggatan and 10 minutes walk from Central Station and Ryan Air Bus Station. 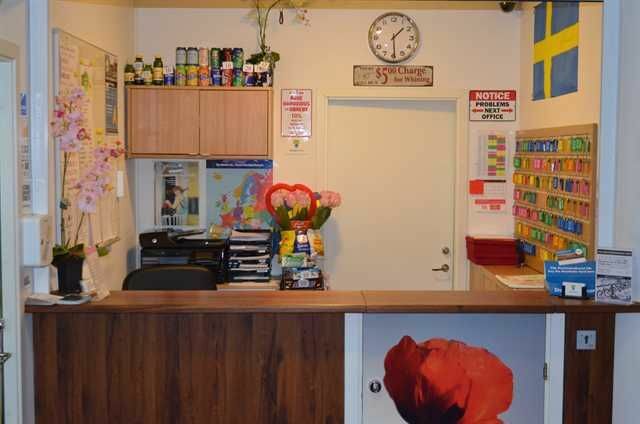 Most of Stockholm´s pubs cafes, pubs, restaurants and famous nightlife area Stureplan are nearby hostel.Interhostel Stockholm is located in area of Norrmalm Stockholm which offers a wide range of shopping opportunities. The cheapest supermarket LIDL is within 5 min walk from thehostel. The main historical attractions including The Old Town, The Royal Palace, The Vasa Museum and many others are close at hand. 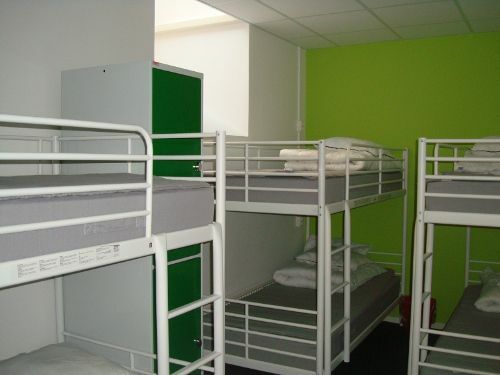 We offer quality refurbished rooms with new and modern beds and lockers. Beds with spring mattresses will ensure you will get good night sleep and rest. All beds have reading light. You can choose to stay in a larger dorm with fourteen beds for a cheap price or you can choose to stay in a smaller more private room. All private rooms and 4 bed mixed dorms have TV with DVD. From Arlanda Airport to Stockholm Centre (City Terminalen)-by the train Arlanda Express to Stockholm City Terminalen (takes 20 minutes).-by shuttle busses (Flygbussarna) from Arlanda Airport to Stockholm Centre (City Termninalen takes 35 minuts, the busses leave every 20 minutes).When on City Terminalen, take the exit to Vasagatan. Go along Vasagatan, contnue on Upplandsgatan till it crosses with Kammakartgatan (takes 10 minutes). Turn to the right on Kammakargatan and at 100 meters distance you will see Interhostel entrance ( Kammakargatan 46). From Skavsta Airport (Ryanair, Wizz) to Stockholm Centre (City Terminalen)-by shuttle busses ( Flygbussarna) from Skavsta Airport to Stockholm City Terminalen(takes 80 minutes)When on City Terminalen, take the exit to Vasagatan. Go along Vasagatan, continue on Upplandsgatan till it crosses with Kammakartgatan (takes 10 minutes). Turn to the right on Kammakargatan and at 100 meters distance you will see Interhostel entrance ( Kammakargatan 46). From Silja Line Terminalen (Ferry Harbour) -by subway (tunnelbana (T)Take a 10 minutes walk from the harbour to the subway station Gardet (red line, direction to Norsborg or Fruangen). Get off at T-Centralen and take the exit to Drottningatan (the main shopping street). Walk along Drottningatan till it crosses with Kammakargatan. Turn to the left on Kammakargatan and at 20 meters distance you will see Interhostel entrance ( Kammakargatan 46).-by city bustake bus 1 to Hotorget (takes 15-20 minutes). Head for Drottningatan till it crosses with Kammakargatan. Turn to the left on Kammakargatan and at 20 meters distance you will see Interhostel entrance ( Kammakargatan 46). From Vikingline Terminalen (Ferry Harbour)take any bus heading for Slussen (takes 3 min) or walk (takes 10 minutes).When on Slussen, take any subway line heading for T-Centralen (Central Station). Get off at T-Centralen, go to the head of the train and take the exit to Drottningatan (the main shopping street). Walk along Drottningatan till it crosses with Kammakargatan. Turn to the left on Kammakargatan and at 20 meters distance you will see Interhostel entrance ( Kammakargatan 46).